Frank Vincent, an Italian character actor who uttered the famous line “Now go home and get your fuc*^% shine box” to Joe Pesci’s character Tommy D. in Goodfellas, died today during open heart surgery, TMZ reports. He was 78.Vincent was a beloved actor who made a name for himself playing notoriously tough characters, like Billy Batts in “Goodfellas” and Frank Marino in “Casino. Frank Vincent, an Italian character actor who uttered the famous line “Now go home and get your fuc*^% shine box” to Joe Pesci’s character Tommy D. in Goodfellas, died today during open heart surgery, TMZ reports. He was 78. On HBO’s The Sopranos, Leotardo often butted heads with James Gandolfini’s Tony Soprano as he eventually rose to become boss of the Lupertazzi crime family. His film résumé also included The Pope of Greenwich Village (1984), Brian De Palma’s Wise Guys(1986), Spike Lee’s Do the Right Thing (1989) and Jungle Fever (1991), Sidney Lumet’s Night Falls on Manhattan (1996), James Mangold’s Cop Land (1997), Shark Tale (2004) and Chicago Overcoat (2009). Vincent also appeared in Hype Williams’ Belly (1998) and served as the official acting coach to rappers DMX, Nas and Method Man on the film. A native of North Adams, Mass., Vincent was raised in Jersey City, N.J. and became a drummer, performing with the likes of Paul Anka, Del Shannon, Steve Lawrence & Eydie Gorme and Trini Lopez and the Belmonts. Scorsese saw Vincent playing a gambler who gets killed by the mob in The Death Collector (1976) — the film starred Joe Pesci, who helped get him the role — then cast him alongside Pesci and Robert De Niro as Salvi in the iconic boxing movie Raging Bull. In that film, his character is beaten to a pulp in the Copacabana by Pesci’s Joey. Back in 1999, the world was introduced to arguably the best TV show ever created. Set primarily in New Jersey, ‘The Sopranos’ explored the story of mobster Tony Soprano, a man attempting to keep his home life, as well as his mental state, intact in a profession where a bullet could come flying around any corner. The series was a win in all forms, with the acting, writing, dialogue and overall believability holding us captivated with each episode that aired (yes, even the finale). 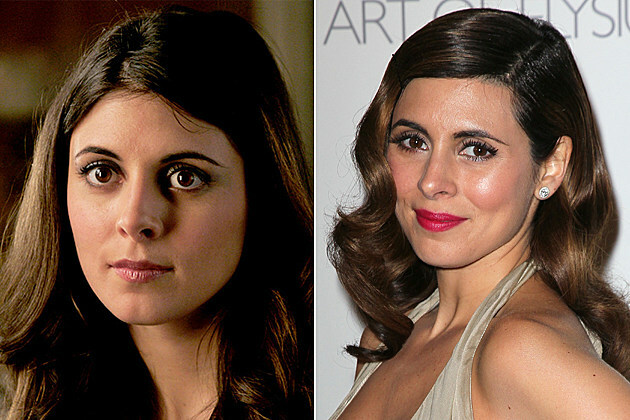 With that in mind, let’s take a look at where the cast of ‘The Sopranos’ is today. 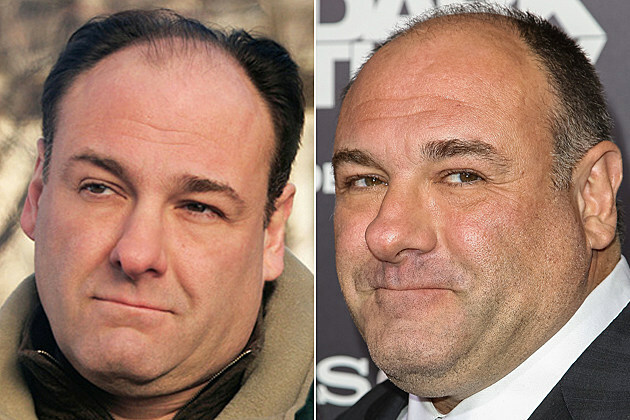 Now: Gandolfini died suddenly of a heart attack in 2013 at the age of 51 while vacationing in Rome. His death rocked Hollywood and led to scores of tributes. Before he passed away, he had appeared in acclaimed films like ‘Zero Dark Thirty’ and ‘Enough Said.’ His last credit is for a film called ‘The Drop,’ slated to open later in 2014. 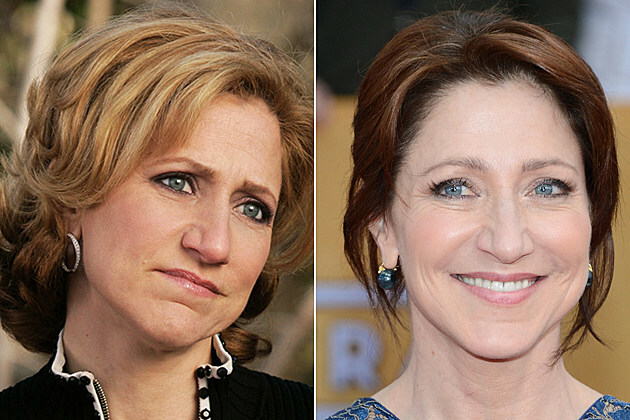 Then: The role of Tony’s wife, Carmela Soprano, wasn’t the first time Edie Falco worked with HBO — she was already known for her role as Diane Whittlesey on the network’s prison drama ‘Oz.’ A struggling actress at the age of 30, she was given small breaks with roles in ‘Law & Order,’ ‘Homicide: Life on the Street’ and ‘Laws of Gravity,’ and a big break with Woody Allen’s ‘Bullets Over Broadway.’ Yet among them all, her Emmy-winning portrayal of Carmela would be one that would change her life. Now: Since her ‘Sopranos’ days, Falco’s career has been a continued success, earning another Emmy Award for her title role on the Showtime series ‘Nurse Jackie.’ Falco has also found herself appearing in numerous Broadway plays that have won high praise from critics and audiences alike. Then: Certainly no stranger to the mob motif (Bracco co-starred in the Martin Scorsese classic ‘Goodfellas’), the actress known Dr. Melfi was originally offered the role of Carmela Soprano. 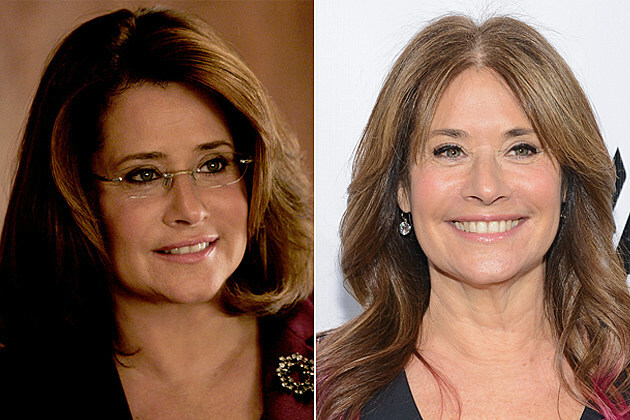 Thinking it was too close to her ‘Goodfellas’ role, Bracco instead asked to play Dr. Jennifer Melfi, Tony Soprano’s psychiatrist. The choice turned out to be the right one. 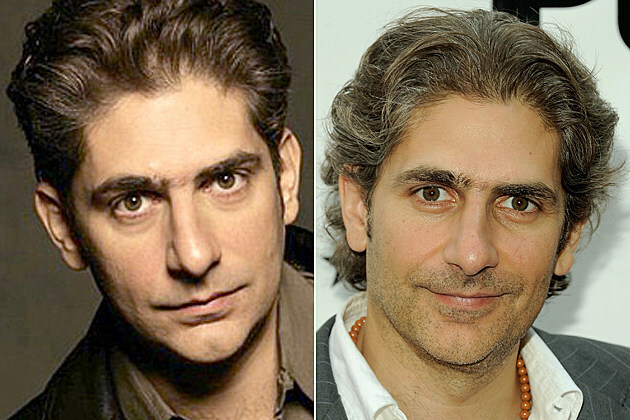 Then: Another ‘Goodfellas’ cast member, Michael Imperioli played Christopher Moltisanti,Tony’s nephew who constant struggled with drugs and alcohol. His character dreamed of being a Hollywood screenwriter, which is the exact path Imperioli took, directing and writing a few ‘Sopranos’ episodes himself. Now: Since his ‘Sopranos’ fame, Imperioli’s credits have continued, starring in the now defunct ‘Life on Mars’ and ‘Detroit 1-8-7′ and appearing in various films. He’s also appeared on the Showtime series ‘Californication.’ However, perhaps his most notable performance since ‘The Sopranos’ is the popular 1800 Tequila commercials in which he ruggedly mocks a bottle of Petron while “his” tequila pours him a shot. Yes, it’s very intimidating. Then: Before ‘The Sopranos’ began Van Zandt was a struggling musician in some musical combo called The E Street Band headed by a guy from Jersey named Bruce Springsteen. 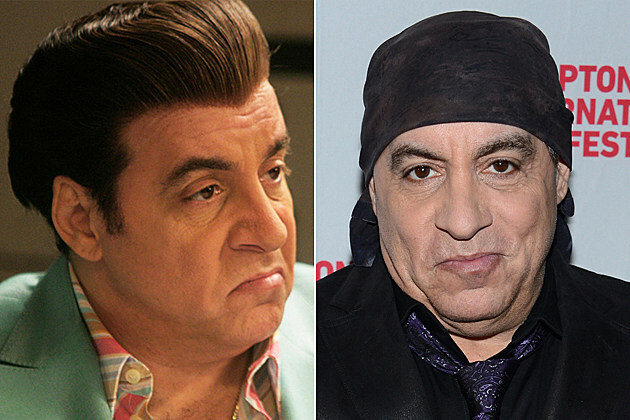 Already having the world in the palm of his hands, Little Steven’s career hit a new high when he took on the role of Silvio Dante. Now: Age means nothing to this guy, who consistently tours with Springsteen and the E Street Band. Aside from his first love, Van Zandt starred in ‘Lilyhammer’ and served as an executive producer on the 2013 film ‘Not Fade Away,’ which was written and directed by ‘Sopranos’ creator David Chase. Now: Life post-‘Sopranos’ has been rather bright for Sigler, who guest starred on 13 episodes of HBO’s ‘Entourage’ and five episodes of ‘Ugly Betty.’ She also starred on the short-lived TV series ‘Guys with Kids.’ In August 2013, she and husband Cutter Dykstra welcomed a baby boy. 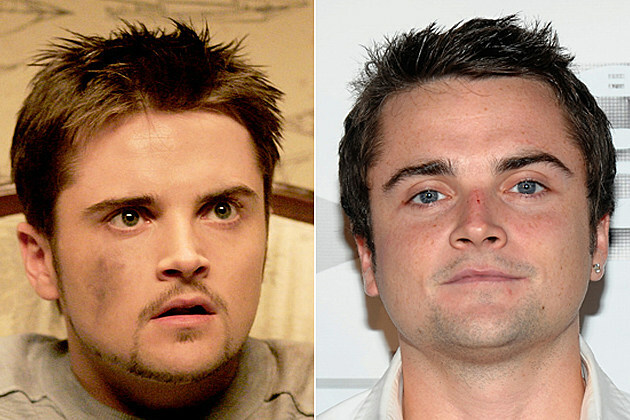 Then: Iler played Anthony Soprano, Jr., or A.J., the youngest Soprano child. His character could be seen as that of a slacker, often lazy and finding various hardships during his adolescence. 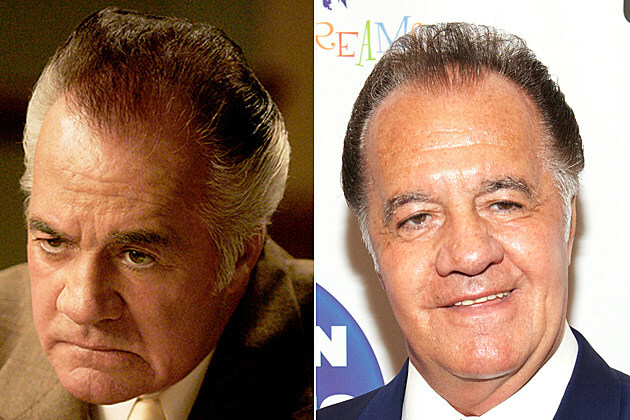 Iler didn’t do much television acting before ‘The Sopranos,’ mainly appearing in commercials. However, once HBO cast him it was smooth sailing…sort of. Now: With just one television credit post-Sopranos (he appeared on ‘Law & Order’ in 2009), Iler doesn’t seem to be doing much acting today. But he did show up on the ‘2010 World Series of Poker.’ Acting aside, Iler’s had multiple run-ins with the law for cases ranging from marijuana possession to larceny. Then: Back in the early ’90s, Schirripa was working in Las Vegas when he got a part as an extra in the Martin Scorsese film, ‘Casino.’ It seems quick, but it was just five years after his ‘Casino’ role that he was cast in ‘The Sopranos’ as Bobby Baccalieri. 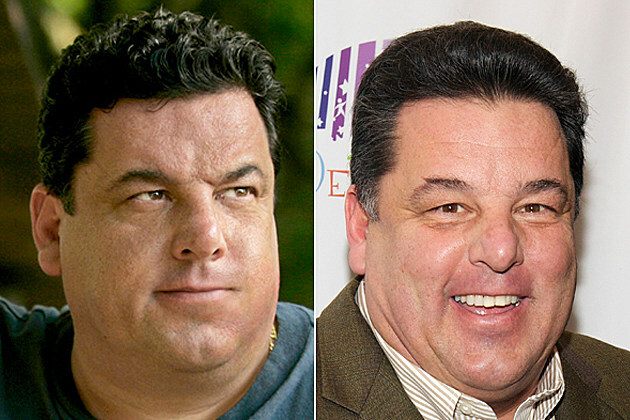 Now: Today, Schirripa is doing just fine, with minor appearances on shows such as ‘Ugly Betty’ and ‘Brothers’ to more prominent television roles like ‘The Secret Life of the American Teenager.’ He also serves as the host and narrator of ‘Nothing Personal,’ a true-crime series on Investigation Discovery. 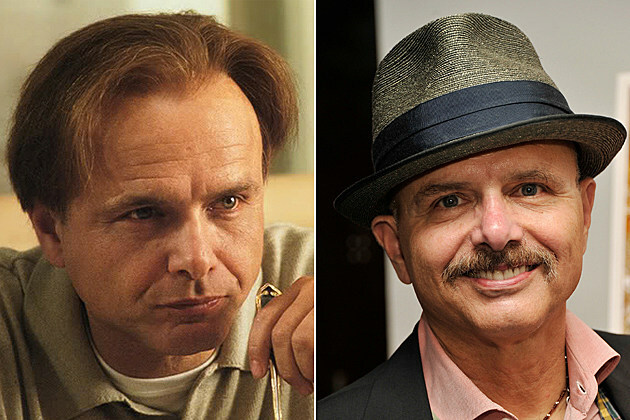 Then: Having already racked up an impressive acting resume before joining ‘The Sopranos’ — appearing everywhere from ‘The Goonies’ to ‘The Matrix’ — Pantoliano’s character Ralph Cifaretto pushed him to new heights. Playing a largely unlikable mobster, his character held an immense presence from the day he stepped foot on set to the very moment of his death — which was certainly a gruesome one. Now: Even today, ‘Joey Pants’ pops up everywhere, having appeared in everything from ‘How to Make it In America’ to ‘The Simpsons.’ Aside from Hollywood, he is an author, having penned two memoirs titled ‘Who’s Sorry Now’ and the more recent, ‘Asylum,’ in which he discusses his diagnosis with clinical depression. Then: Starting his career in Off-Broadway plays and cabarets way back in 1952, Chianese got his first televised role in 1974’s ‘East Side/West Side.’ He would then go on to appear in ‘The Godfather: Part II,’ which sparked a friendship with fellow actor Al Pacino. 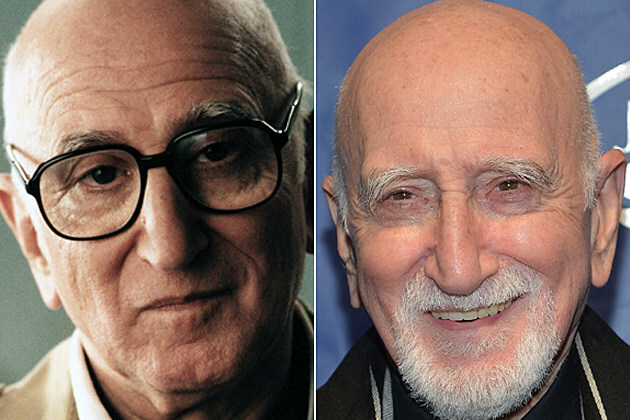 However, among his lengthy list of accomplishments, his portrayal of Junior Soprano garnered him arguably the most attention.